IRVINE, CA , Jan. 23, 2019 (GLOBE NEWSWIRE) -- via NEWMEDIAWIRE -- Cannabis Science, Inc. (CBIS), a U.S. company specializing in the development of cannabinoid-based medicines, announces that beginning today RCD will use the www.iCannabinoid.com online information sharing platform to interact with the general public on all Company projects, Drug Development initiatives, Partnership programs, CBIS Consortium, University Scholarship programs, and all RCD initiatives. “We recently announced an extension of the date to register for my Personal Shareholder Loyalty Gift through January 31, 2019, and again, the response has been magnificently overwhelming! We are getting everything, and we are compiling and tracking the information until we can respond. Given the sheer number of registrations and questions we’ve received on this matter, coupled with the rest of our inquiries, it only makes sense to commit to an interactive online information platform such as www.Twitter.com, www.Facebook.com, www.Linkedin.com, or www.Instagram.com, obviously our platform of choice to communicate would be the recently-launched www.iCannabinoid.com platform. “I can see that people are starting to get it. Who we are, what we stand for, and the positives changes we are making with our University economic drug development programs The new partnerships and investment inquiries have both risen extraordinarily! The growth potential is extraordinary, we can create jobs everywhere, in almost every industry, in almost any demographic. We are constantly expanding and looking for good people of like mind and similar interests, initiatives, and goals!” stated Mr. Raymond C. Dabney, CBIS’ President, CEO, and Co-founder. Cannabis Science’s primary objective is to research and develop U.S. Food and Drug Administration (FDA)-approved, cannabinoid-based medicine to fight a number of targeted critical ailments, including various Cancers, Neurological Conditions, PTSD, Sleep Deprivation, Chronic Pain, HIV/AIDS, Autism, Parkinson’s Disease, Epilepsy, Chronic Obstructive Pulmonary Disease (COPD), and others. CBIS and its collaborators are well underway on a number of research projects targeting Lung Cancer, Pancreatic Cancer, Neurological conditions including PTSD, Chronic Pelvic Pain, and Oro-bucco-lingual Dyskinesias, to name a few. RCD expects iCannabinoid will help effectively ‘Bring it all Together’ and streamline interactive communications with its community of patients, doctors, researchers, parents, lawyers, growers, journalists, government and private-sector leaders, community organizers, and other interested parties. To register, connect, learn, and share, please visit www.iCannabinoid.com. Interested CBIS shareholders still should visit https://cannabisscience.com/investors/loyalty-gift-form to register for the Personal Loyalty Gift no later than January 31, 2019. All questions regarding the Loyalty Gift, as well as any other CBIS activity, should be communicated via iCannabinoid. Following that, we encourage all our stakeholders to go to www.iCannabinoid.com and register, join a few Action Groups and make a difference, or as we all know, we might even learn something. “The iCannabinoid platform is the perfect vehicle to ‘Bring it all Together’ for this type of required interactive communication, it again will also enable CBIS to actively engage our community on a number of topics relevant to our industry. Once the Loyalty Gift Portal is closed on January 31, 2019, we will begin processing the new applications received and reconcile these with previously received Shareholder Loyalty Gift applications to verify and ensure there are no duplicates and/or errors. Once this process is completed, all gift recipients will receive an email confirmation and a personal invitation announcing the venue, date, and time to the Cannabis Science Black-tie Awards Gala. Follow-up information regarding the Loyalty Gift and the Awards Gala will be posted on iCannabinoid,” concludes Mr. Dabney. 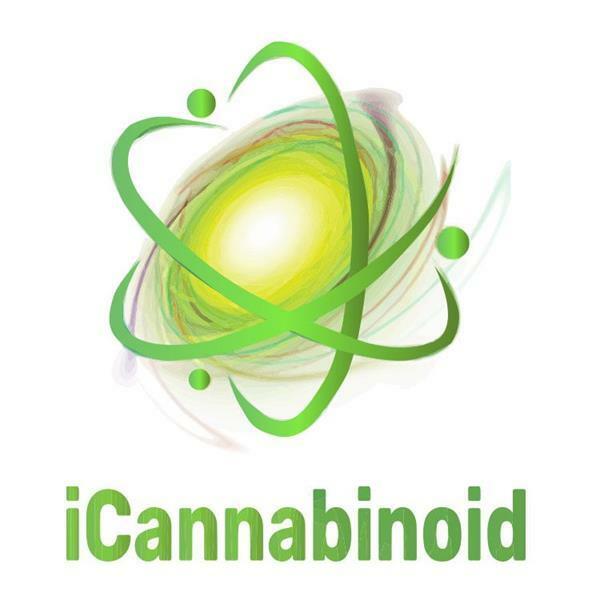 iCannabinoid serves as an information center, resource hub, and support group for those seeking alternative cannabinoid treatments for various critical ailments such as Cancer, Arthritis, Parkinson's Disease, Anxiety, Multiple Sclerosis, and more. This new website provides timely and relevant information for Cannabis users, Cannabis professionals and researchers, CBIS shareholders, and other Cannabis stakeholders. iCannabinoid will provide opportunities to enlighten medical practitioners on all aspects of cannabinoid therapies and the endocannabinoid system, and allow them to directly help patients in suggestive treatments. Furthermore, this platform will empower patients to educate themselves about the potential benefits of using cannabinoids as a complementary therapy to lessen side effects such as nausea, insomnia, and anxiety. Advocates of medical cannabinoids can also demonstrate their support for legalization by signing up to advocate for common-sense, medical cannabis legislation. iCannabinoid Members are able to track and share their personal experiences with cannabinoid treatments through blogs, photos, and videos. These experiences will serve to educate and inspire other Members, as well as allow Members to connect based on their interests and profile information. Discussion groups can be created to connect with people of the same interests, potentially allowing patients to schedule consultations with doctors in the future as well as sign up for future clinical trials for novel cannabinoid therapies. Online users are able to create their own events for private or public participation or join events for monitoring, such as the "2019 Cannabis Science Gala Event", or other events specific to a cause, such as for shareholders to receive updates about the Loyalty Gift Program. CBIS will provide its stakeholders with updates on the Gala Event and Loyalty Gift Program, as well as on other Company events, through iCannabinoid. iCannabinoid will help facilitate event integration, and make it easier for Members to receive event information, updates, and to register to participate. iCannabinoid also provides overall support information on marijuana classifications, strains, and the science of cannabinoids. Information regarding critical ailments and palliative care will be outlined, with information on supplementary treatments available, such as pills, creams, and extracts. It will showcase local, national, and international marijuana laws, including U.S. state-by-state information regarding possession, cultivation, and legalization for patients. Along with relevant research studies from reputable, scientific peer-reviewed journals, live-feed news outlets will be available to provide iCannabinoid Members with access to as much useful information as possible. A key aspect to iCannabinoid is CBIS’ Ambassador Program. Through this program, the Company allows highly qualified personnel to assist and aid in the functionality and navigation of iCannabinoid. iCannabinoid Ambassadors should be passionate about this industry and willing to help others within this community. Each Ambassador will go through an approval process that includes submitting a resume, participating in an interview, and having a background check. After CBIS has chosen those qualified to be become an iCannabinoid Ambassador, these individuals will be placed in the section of the website they are most qualified to be of assistance to all members and technical developers. iCannabinoid Ambassadors will be knowledgeable, professional, and available to answer any questions Members may have relating to the section assigned to them. Another significant feature of iCannabinoid is the fully integrated My Health Section. This is a place for Members to set up personal health records and goals. Easy access and editable modules are provided for Members to create medication lists, monitor items such as heart rate and blood pressure, create personal health goals and milestones, and many other items relating to personal health maintenance. To ensure privacy, the My Health Section will only be accessible by the individual Member. Members will have the option to share approved modules with other members as well as see other Member’s approved modules that have also been shared. These are just two of the many innovate and exciting sections on iCannabinoid that Members can experience. Through sharing, tracking, learning, and helping, iCannabinoid will be an all-inclusive community for its Members.